I first tried one belonging to my art tutor, after he had recommended them to me. I was so impressed that I bought a set of round brushes, 2,4 6,8,10, and 12, and have never looked back. 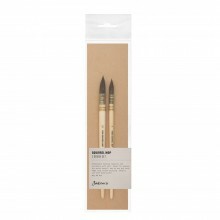 They hold a generous amount of paint, are a pleasure to hold, and the bristles retain their shape, after cleaning. 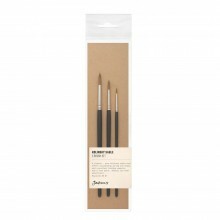 Because of the fine points on the brushes, painting intricate shapes is made easier.